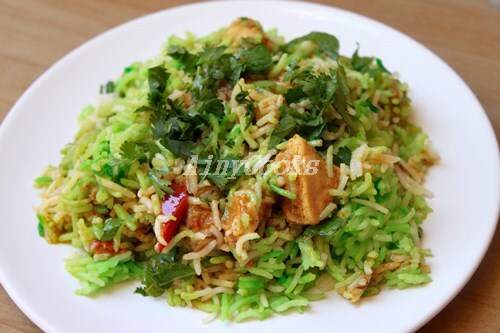 Green Masala/ Hara masala or Chutney Chicken biryani is my special post for Pakistan day 2016. Pakistan Day is a public holiday in Pakistan to remember the Lahore Resolution on March 23 each year. The word “Pakistan” was never used but the Lahore Resolution is considered a major milestone in the Muslim struggle for an independent state in undivided India. 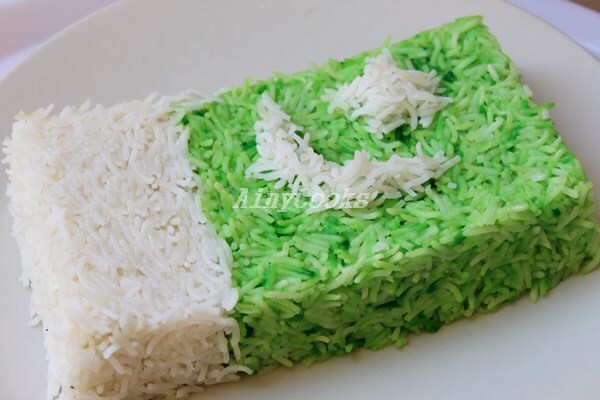 I have used green food color for special occasion but you can skip food color. Tomato 1 , cut in slices. Add all ingredients of chutney in blender and blend well. Set aside. In a pot add oil and whole spices, stir for few minutes. Add brown onion and ginger garlic paste. Stir for few seconds. Now add chicken, chutney, all spice powder, turmeric, yogurt and salt. Mix well and let it cook till chicken tender. 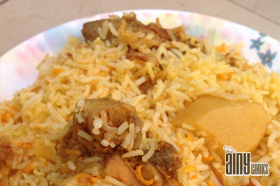 In a pot grease bottom and spread half amount of boiled rice top with chicken chutney. Give a layer of tomato slices. Garnish with mint and coriander leaves and brown onion. 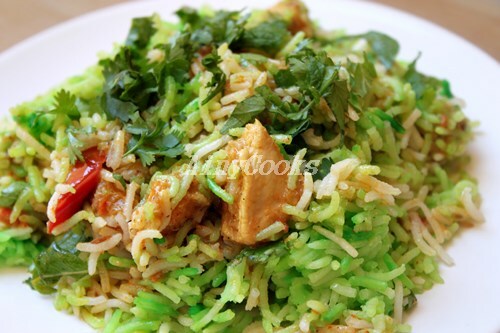 As i mentioned above i have used green color because of a theme but you can skip and prepare with out any food color.